Preliminary Project Assessment (PPA) Documents. Required submission for all IHDA resource requests. Must receive PPA approval prior to making a full application. In order to submit your PPA, you must first request an account for the MF Portal. Please click the link above to access the MF Portal Account Request Form and fill out the online form. Please allow three business days to receive your login information to access the MF Portal. If you have not received your account information within three business days, please reach out to mfportalhelp@ihda.org. If you have already submitted an account request form and have forgotten your Username or Password, please contact mfportalhelp@ihda.org for assistance. The updated 2018 -2019 Preliminary Project Assessment (PPA) Workbook. This current version of this PPA Workbook is to be used when applying for an IHDA administered program that requires a PPA and consists of a single Microsoft Excel file. Only this current version will be accepted. As PPAs for IHDA resources are now accepted on a rolling basis, IHDA provides the status of PPAs received and approved to date. The status of all PPAs and applications for IHDA resources, as well as IHDA’s current portfolio can be found via the IHDA Portfolio and Pending Projects Map. Multifamily fee payment form to be submitted with all PPA and full applications. This document describes the various reviews that will be conducted for projects submitted for LIHTC PPA approval in conjunction with the 2018 – 2019 QAP. The market data and metrics reviewed for the PPA are outlined in the 2018-2019 PPA Data and Metrics Chart. The chart is divided by the different PPA market review categories and the data and indicators used to examine each category are discussed. The Affordable Rental Unit Survey is an analysis of affordable rental housing concentrations in every census tract in the State (organized by county). This data is utilized as discussed in the “2018-19 PPA Data and Metrics Chart.” The background and methodology is detailed here. 2018-2019 Governor approved QAP. Updated October 2017. 2018-2019 mandatory application checklist for multifamily programs. Updated January 2018. The 2018-2019 Common Application. To be submitted after PPA approval and required for all IHDA resource requests. Updated January 2018. Organizational chart and identity of interest certification. Updated January 2018. Historic Preservation Checklist. Updated January 2018. Architectural Standards, Universal Design and Amenities Certification form. Updated January 2019. Guide for Sponsors and Architects in the preparation of the written project scope. To be used for all Projects involving the acquisition or rehabilitation of any property that is occupied by residential or commercial tenants as of the Application date. Both temporary and permanent relocation require completion of this checklist. Sponsor experience certification. Updated January 2018. General contractor experience certification. Updated January 2018. Architect experience certification. Updated January 2018. Property manager experience certification. Updated January 2018. Exclusive to 9% Low Income Housing Tax Credit (LIHTC) applications. To be submitted with full application. 2019 9% LIHTC scoring certification forms. Answers to common questions you may have as you fill out your 2019 LIHTC application. Answers to common questions you may have as you fill out your 2018 LIHTC application. List of jurisdictions with local Consolidated Plans. Updated October 2017. Property needs assessment requirements for multifamily rehabilitation projects. Places within the Other Metro Set-Aside for LIHTC applications. Updated November 2017. 2018-2019 Site and market requirements for ALL multifamily projects. Example calculating eligible tax credit amount based on qualified basis and equity gap methods. Updated November 2015. Total hard cost limits by bedroom type and geographic set-aside for the 2018-2019 QAP. Updated January 2018. Annual per-unit operating expenses allowed by project type and geographic set-aside. Updated January 2018. Documentation of standards for appraisals. Updated December 2015. List of current multifamily developments financed by IHDA. The list contains developments that have been Board approved, closed, or placed in service. Updated January 2019. List of current multifamily developments financed by IHDA with accessible rental units. The list contains developments that have been Board approved, closed, or placed in service. Updated January 2019. HOME Maximum Per-Unit Subsidy Limits. Updated February 2019. Overview of the 2013 HOME Final Rule. Reference documents exclusive to 9% LIHTC applications. Municipalities subject to the Affordable Housing Planning and Appeal Act. Updated November 2015. Please note that the AHPAA Municipalities will be updated December 2018 and posted January 2019. 2018 – 2019 Site and Market Study Review Criteria and Scoring. Opportunity Areas Update for 2018-2019 QAP. Updated July 2018. This document describes how community revitalization strategies can meet Authority thresholds standards and competitively score under the competitive 9 percent LIHTC round in conjunction with the QAP. This interactive map tool from PolicyMap will assist in determining if your development project is located in a HUD R/ECAP census tract. Note that all projects located in a HUD R/ECAP census tract must submit a Community Revitalization Plan. The State Economic Development Resource Directory includes directions on how to use the Illinois workNet Center site, to determine if a resource is near your development, as well as lists for Small Business Development Centers and Vocational Schools. These resources are also referred to as Job Creation Entities in the Community Revitalization Strategies Scoring Thresholds and Criteria. Opportunity Areas are identified with publically-available data published by the federal government. IHDA has used specific geographic considerations and determination metrics to determine the Opportunity Areas. Updated July 2018. IHDA will publish a new list of Opportunity Areas every year with the Draft Qualified Allocation Plan and Opportunity Areas will retain the designation for at least 4 (four) years and as long they meet the identification criteria. New Opportunity Areas may be added with each determination. Updated July 2018. IHDA has created an easier to use Food Access Map using the data source and scale discussed below. Green highlighted tracts on this map will receive te Food Access point in the competitive 9 percent LIHTC scoring. Mean travel time to work by Census Tract. Statewide Housing Coordinator “Communities of Preference”. Information for property owners and managers about the Statewide Referral Network (SRN), other related resources, and their obligations as SRN participants. Statewide Referral Network agreement. Updated April 2019. FY 2017 Supportive Services for Veterans’ Families awardees. Updated October 2017. Terms, conditions and procedures for qualified contract requests. Updated September 2017. The Authority will not issue 8609(s) until the final draw request has been submitted and approved by the Authority. The Authority also will not issue 8609(s) unless all fees and payments due to the Authority in connection with any Authority program have been paid. All documentation must be submitted in an unbound package with original signatures in blue ink, as appropriate. Provides tips for completing and applying for your 8609 form. LIHTC and 1602 checklist for issuance of IRS Form 8609. Submit this checklist with your packet of materials. Multifamily fee payment form to be submitted with your packet of materials. Compliance Monitoring Fee Agreement is part of the Determination letter and should be submitted with your packet of materials. Form to list the final sources and amounts of funds for your Tax Credit project. Partnership agreement form to be submitted with your packet of materials. Required submission for all IAHTC resource requests. Application checklist for projects requesting IAHTC. Donation form required for all applications requesting IAHTC. Checklist and review document that is issued after an IAHTC project is IHDA Board approved. All supporting documentation must be submitted via e-mail as a “Certificate Review Package” to IHDA for review prior to closing. Page 2 of the IAHTC Certificate and Supporting Doc Review – rev March 2019 word document gives further submittal instructions. Issuance of the state tax credit certificate depends upon IHDA’s review of this review package. Historic Preservation Checklist. Updated November 2015. Construction reference documents for all IHDA applications. *Note – Certificate of Completion and Permission to Occupy require submission prior to final project close out. Memo summarizing the modifications for the 2018 Standards for Architectural Planning and Construction. Updated December 2017. IHDA standards for historic preservation compliance. Updated December 2017. Environmental requirements for multifamily projects. Updated December 2017. Standards for architectural planning and construction are provided as an aid for the design and construction of quality affordable housing. Updated December 2017. Construction cost estimating requirements for multifamily projects. Updated December 2017. Requirements for applicants to secure studies from professional services firms experienced in providing cost estimating services, market studies, Phase I Environmental studies, Rent Comparability Studies, and Property Needs Assessments. Updated December 2017. Davis-Bacon wage guidelines for all projects funded in part by federal funds. Revised August 2012. This version includes examples. A user’s guide for Section 3 compliance. Updated March 2013. HUD’s Uniform Federal Accessibility Standards (UFAS) accessibility checklist. A user’s guide for addressing various lead-based paint related activities. Change orders are required for any additional costs to the scope of work, any reduction in costs to the scope of work, or any no cost change to the scope of work. A guide to the criteria that must be met when a project is 95 percent completed. When the project is 95% complete, prior to final project close out, two copies of the IHDA Certificate of Completion form (Form CD-4) must be submitted to the IHDA Construction Field Representative. When the project is 95% complete, prior to final project close out, two copies of the IHDA Permission to Occupy form must be submitted to the IHDA Construction Field Representative. 2016-2017 QAP. Updated January 2016. 2015 QAP. Updated January 2015. 2015 QAP revisions. Posted March 2015. 2014 QAP. Updated May 2014. Amended 2013 QAP. Updated September 2013. 2012 Governor QAP. Updated October 2011. IHDA has completed the Round V Request for applications. The deadline was July 20, 2018 at 5:00 p.m. You can see the list of submissions received and approvals below. 2020 QAP Summits – Register Today! Technical Assistance Sessions – Register Today! Preliminary Project Assessments (PPA’s) and Low Income Housing Tax Credit (LIHTC), Applications are now accepted via the Multifamily Portal. PPA’s previously approved for the 2018 9% LIHTC Round are eligible to apply for 2019 LIHTC. IHDA is accepting PPA’s on a rolling basis and will close the portal for 2019 9% PPA’s on November 9, 2018. IHDA intends to inform sponsors of PPA status no later than December 21, 2018. 2019 9% LIHTC Applications will be due February 15, 2019. 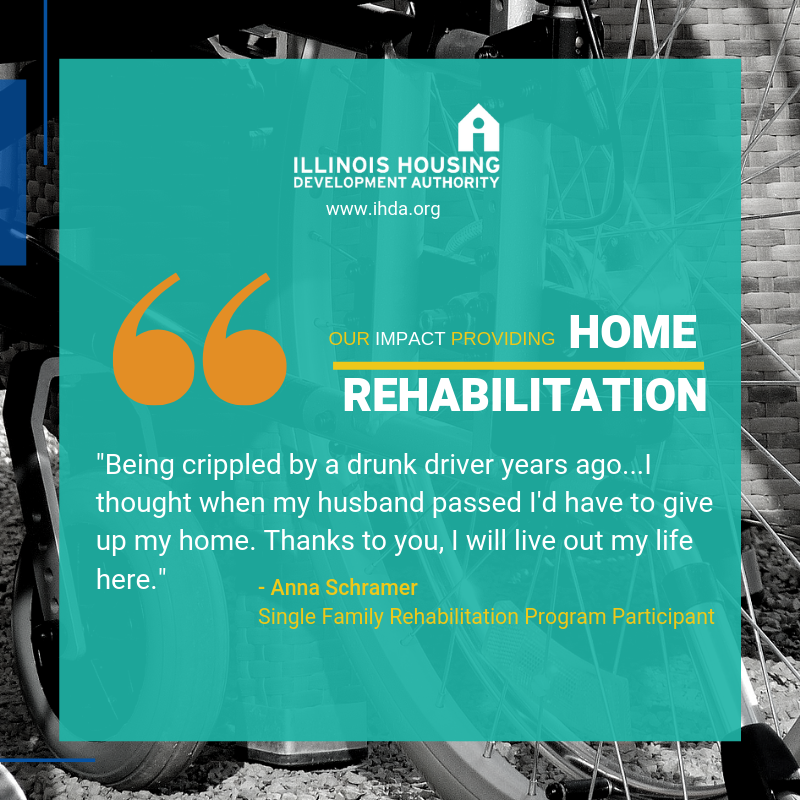 The request form can be found in the Developer Resource Center section of the IHDA Website or at https://ppa.ihda.org. All PPA’s for funding sources are now accepted on a rolling basis pursuant to the dates listed below. IHDA is no longer accepting PPA requests under the 2016 and 2017 QAP. Previously approved PPA’s are valid for one year from the date of approval. Any 4% applications with approved PPA’s may be submitted on a rolling basis until September 1, 2019. The request form can be found in the Developer Resource Center section of the IHDA Website or at https://ppa.ihda.org. IHDA will endeavor to notify Sponsors within 45 days of the Authority’s receipt of the request for 4% PPA approval. As is well known throughout the affordable housing industry, Congress recently created a new occupancy set-aside option known as “income averaging.” Instead of electing the 20/50 or 40/60 minimum set-aside, an owner may elect an income averaging set-aside. This allows a property to serve households up to 80% AMI, as long as at least 40% of the total units are rent and income restricted and the average income limit for all tax credit units in the project is at or below 60% AMI. The Authority understands its stakeholders are excited to take advantage of this new option to better serve the needs of those seeking affordable housing. Given the nuances of this new set-aside option, the Authority is carefully reviewing applicable law and industry guidance with the goal of developing a policy around income averaging that will ensure the Authority can continue to administer the low-income housing tax credit (“LIHTC”) program in the most effective and efficient way possible. As the Authority continues its analysis of this new set-aside option, the Authority wanted to provide some information about the parameters currently being considered. The information in this bulletin is not intended to be conclusive or exhaustive. The Authority’s final policy may or may not include the elements discussed below. In addition, if determined to be applicable, the Authority will take steps to amend the 2018-2019 Qualified Allocation Plan. Please note, developments will be ineligible to select income averaging if: (i) the development received 9% LIHTC award from the Authority in 2018 (or earlier); or (ii) the development receives a 9% award from the Authority in 2019; or (iii) the development already has a recorded Extended Use Agreement (including resyndications); or (iv) the development already filed a Form 8609. Developments seeking 4% LIHTC’s that desire to elect income averaging will be considered by the Authority on a case-by-case basis. Tax exempt bond developments will still need to meet all applicable bond-related compliance requirements. Additionally, the Authority is in the process of updating the Affordable Rental Unit Survey (ARUS) to reflect all the allowable income levels under income averaging. Please click the link below for additional information. All units must be designated low income; the development may not contain unrestricted or market rate residential units. Designated income/rent levels may only be set at 10% increments beginning at 20% of AMI. Allowable income/rent designation levels are 20%, 30%, 40%, 50%, 60%, or 80% of AMI. The Authority reserves the right to limit the number of AMI designations per property. Written acknowledgement from the LIHTC equity investor that income averaging is compatible with requirements of other public and private funding sources. Written acknowledgement from the property manager regarding the compliance implications and commitment to provide annual income averaging training to on-site property management. Payment of an additional application fee to re-underwrite the development, if applicable. Payment of an additional compliance fee to reflect increased monitoring requirements for developments that elect income averaging. Updated market study demonstrating sufficient market demand for each income bracket proposed. Please review the timeframes required to review, underwrite, approve, and close transactions utilizing resources from the Authority. The deadlines are most relevant for 4% bond deals, but all resources will follow the same timeframes. We will move transactions along as quickly as possible based on the applicable resources requested. The timeframes bring clarity to the process so all deal stakeholders have consistent expectations of the timing needed to close transactions. The legal forms and certifications below are intended for Developments that have received IHDA funding, are for reference purposes only and are subject to change without notice. The forms below are for for developments have received IHDA funding. They should be completed by the Development Team actively working on the closing.